If you notice a decidedly pink hue taking over Hong Kong in October, don’t adjust your dial. Pink Season is returning to our city for its seventh consecutive year – and the 2016 edition is set to be the biggest and best yet. The five-week event is by far the largest LGBTI festival in Hong Kong and, arguably, the grandest in Asia, too. Prepare for a diverse, colourful and exciting series of events. First run in 2000 by local LGBTI non-profit Pink Alliance, the festival has taken on a life of its own in its efforts to celebrate openness, diversity, acceptance (of others and of self) and, above all, love. “Pink Season has gone from strength to strength,” says Philip Howell-Williams, festival director. 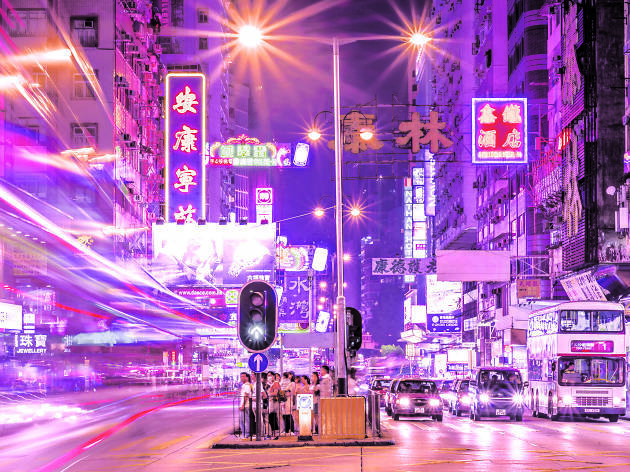 Through its bumper programme of sports, theatre shows, educational activities, arts and entertainment events, the festival, for Howell-Williams, ‘aims to engage with the local community and continue the struggle to achieve true equality here in Hong Kong’. Celebrating inclusion is just as important as celebrating diversity – indeed, the theme for this year’s Pink Season is ‘family spirit’. It might be an LGBTI festival but the various events are open to all who believe in equality, diversity and love. In this vein, we’ve selected some of the highlights for our family of readers to mark in their calendars. 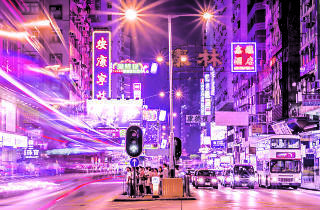 With much of Hong Kong’s LGBTI scene focused around Central and Sheung Wan, the Urban Race is the perfect excuse to take in some of our city’s vast expanses of verdancy well away from the Island. The day-long race sees teams of treasure hunters getting up close and personal with Mother Nature around Sha Tin and Ma On Shan, following clues to find hidden shops and lesser-known landmarks – think The Amazing Race without the eliminations. All you need is team spirit and a thirst for adventure to join this high-octane day out, which ends with a party where the food and drinks are covered by your joining fee. Trade stories from the day with new friends. Sat Oct 8, Sha Tin and Ma On Shan. Entry fee TBC. The scenic Li Po Chun World College in Sha Tin’s Wu Kai Sha district is the perfect setting for Pink Season’s energetic Sports Day. The diverse programme features a wide range of sporting events, including tennis, badminton, table tennis, volleyball, futsal, basketball, swimming, kung fu and even Zumba. With one of the best views in the city and a little something sporty for anyone of any ability, there’s no better excuse to get active on this Saturday. Sat Oct 15, Li Po Chun World College, 10 Lok Wo Sha Ln, Sai Sha Rd, Sha Tin. Free. One of Pink Season’s most popular events returns at the end of October. Rainbow Connection is a showcase of performing arts talent from Hong Kong’s LGBTI community, with monologues, theatre shows, original poetry, storytelling and musical performances that explore the love and light within the gay community, and how we’re all connected regardless of our age, gender, race or nationality. All proceeds from the evening go to Hong Kong charity AIDS Concern. Tue Oct 25, Orange Peel Music Lounge, 2/F, 38-44 D’Aguilar St, Central. $150 (adv), $200 (door). The official closing event of Pink Season, Out in the Open is taking place at Repulse Bay this year. The free family-friendly beach day, which features food and drinks as well as plenty of live music performances, perfectly punctuates what this year’s festival programme is all about: inclusion, diversity and a family spirit. All out in the open. Sat Nov 5, Repulse Bay. Details TBC.